Monica Spear, Miss Venezuela 2004 and Miss Universe 2005 candidate, has died in an apparent robbery attempt in Puerto Cabella, Venezuela. The beauty queen turned actress was only 29 (October 1, 1984 - January 6, 2014). According to the report from Venezuelan network Globovision, Monica Spear Mootz, 29, and English businessman husband Thomas Henry Berry, 49, were found dead with gunshot wounds inside their Toyota Sedan car on Monday night, January 6, 2013. Also found with the couple inside the car was their 5-year-old daughter, Maya, who was also shot, but luckily and thankfully, she survived and now recovering at the hospital. Police reports have confirmed that unidentified armed men tried to steal their car, while the family was on their way to a place in the Carabobo State in Venezuela. The whole pageant world is definitely in deep mourning over the death of Monica Spear who, as Miss Venezuela, wowed in Miss Universe 2005 pageant held in Thailand and finished in 5th Place or 4th Runner Up. Monica eventually became a popular actress in Venezuela after Miss Universe, appearing first in a "contravida" role in the 2006 telenovela "El Desprecio" before doin' lead roles in 5 more TV series, such as "Mi prima Ciela", "Calle Luna, Calle Sol", "La Mujer Perfecta", the Telemundo-produced "Flor Salvaje" and the most recent "Pasión Prohibida", which aired in the first half of 2013. 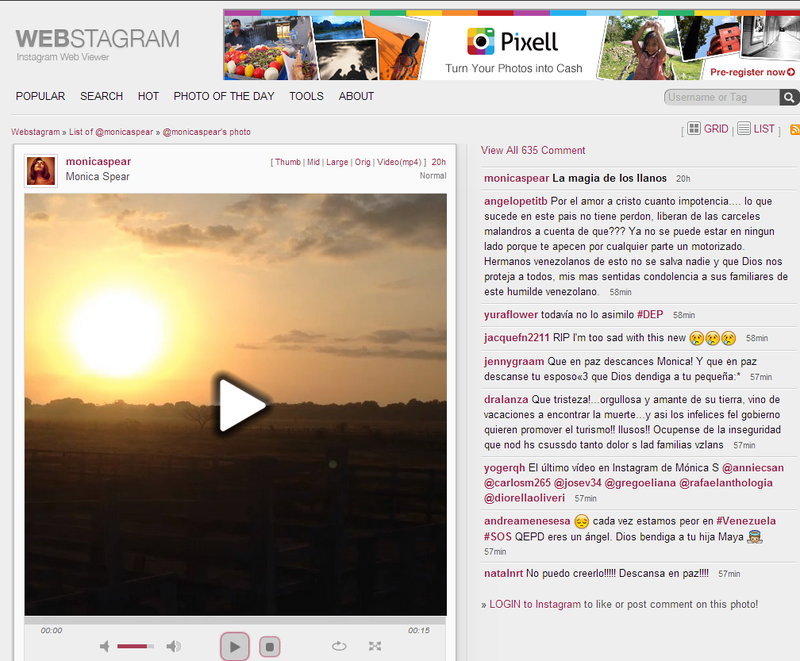 Here's a screenshot of Monica Spear's last Instagram post, a video of a place uploaded just a few hours before her untimely death. 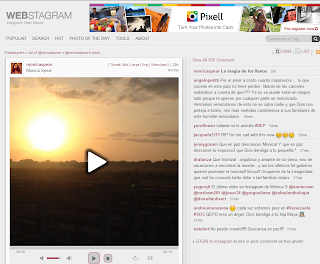 She captioned the video with this "La magia de los llanos" which when translated means "The Magic of the Plains". Some of Monica's most recent Instagram posts were those vacation pics of her with beautiful daughter Maya.